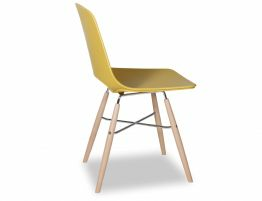 With a nod to the Eames Eiffel chairs of the Midcentury modern furniture period, Spanish designers Enrique Del Amo and Angel Marti apply their unique vision to give us a mustard yellow modern dining chair with good looks and a serious design pedigree. 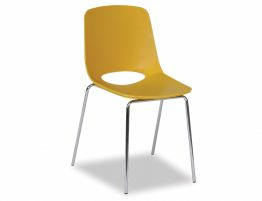 This mustard yellow modern dining chair has a soft molded seat that envelops the body for a balanced comfort. 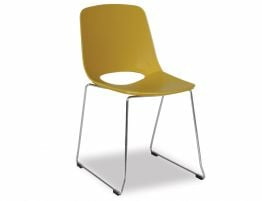 And our modern yellow kitchen chairs blend a techno-polymer seat with slender beechwood legs for a stability and form that give this modern yellow kitchen chair a current feel. 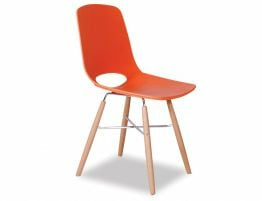 This mustard modern dining chair is offered in a variety of colours but the mustard is especially on-trend. 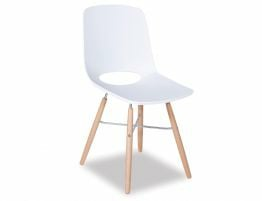 Pair this yellow modern dining chair with a natural oak dining table and a fresh palette of greys for a simple yet styled, modern look. 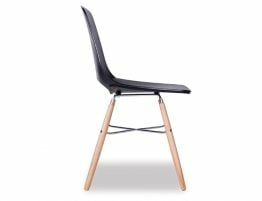 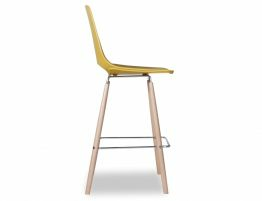 Whether you are shopping dining chairs for your home kitchen, laid back dining room or busy café or restaurant, this mustard yellow modern dining chair is an ideal on trend home furniture or commercial furniture update.